What tools do you use for Sitemaps/information architecture? I'm working on an audit of our current product's information architecture. I'd like a tool that will allow me to layout the structure in a nested table as well as tree diagram. I'd also like to be able to easily drag and move things around. Was wondering if anyone has a suggestion of a good tool for this. Intuitive, powerful, flexible, shareable, quick, free to use. 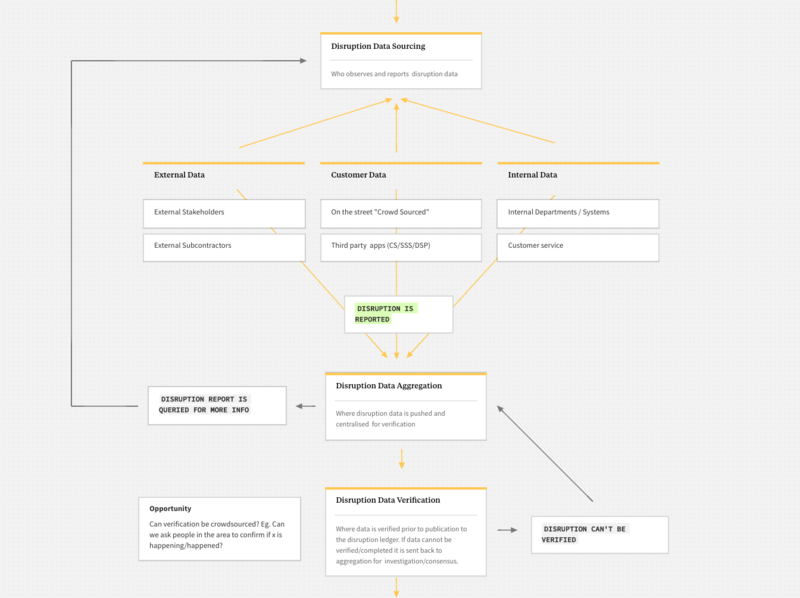 Having worked with both Omnigraffle and Lucidchart, I've found that Flowmapp (http://flowmapp.com) is the better fit for my needs when doing hierarchical structures, content prioritisation and descriptions where I have to collaborate with clients and other fellow information architects. I'd highly recommend checking out Whimsical. It's a really intuitive tool for creating flowcharts and sitemaps. There are other awesome features about it (i.e. awesome at wireframes and sticky notes for remote workshops or collating the outcomes of an in-person workshop) but even if you're just interested in a tool to create diagrams, it's the best out there for me. I've tried Omnigraffle, MindNode and Sketch but they pale in comparison to Whimsical for this task overall. Also, depending on what stage you're at for the IA, I suppose you could use the Sticky Notes feature too. If you plan to be moving things around a lot, it might be more appropriate. Basically the Sticky Notes feature feels like moving Trello cards around, but you're not confined to columns like in Trello; you can have "buckets" anywhere on the infinite canvas. Oh and Lucidchartseems to be pretty popular among content folks too. Thanks so much! I’ll check it out. We use LucidChart quite a lot for HMI development, as it plays nicely with MS Visio. The web app certainly struggles when you're dealing with massive flowcharts, but it's pretty convenient service. Been using Xmind, but both FlowMapp and Whimsical seems interesting!